Classic Raffia wide brim leather cord hat blocks harmful rays, while leather chin cord offers secure fit when breezes blow. 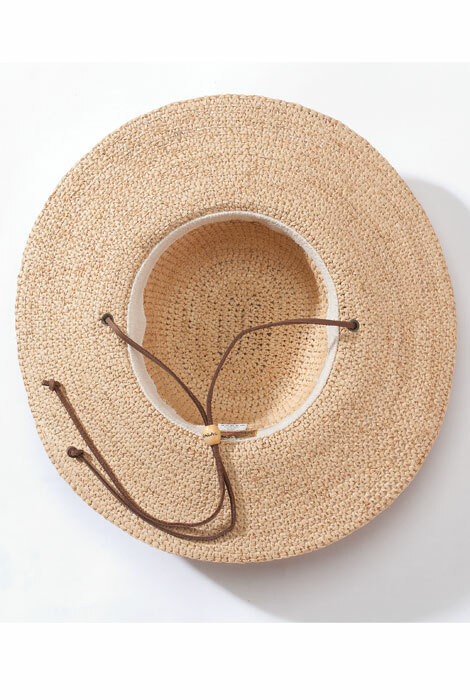 Packable, breathable raffia hat holds its shape beautifully, keeping you stylish and comfy. Spot clean. Imported. One size. I'm going on an Amazon adventure and need something that will keep the sun off my face and neck. Had similar hat for many years...my go to boating hat...lost at bay. Hoping this is my replacement. This is my favorite hat ever! I have had one for years, but it flew in the ocean and has never been the same. I am so happy to find it again at As We Change! Next time I'm on a boat, I will use the chin strap!! 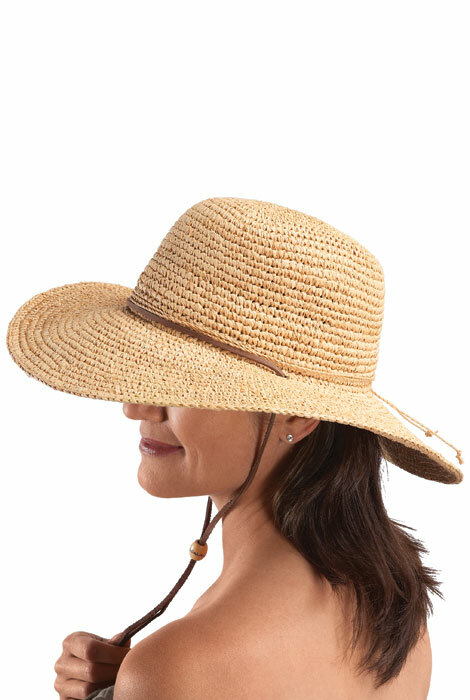 A packable sun hat that actually has a chin strap - yes!!!! Looks like it will provide good sun protection. BEST ANSWER: Thank you for your question. The brim is 4", crown is 4" tall and 7.5" across. The circumference is 24". We hope this information will be of help to you.